Theodore “Ted “Evelyn Mosby is a fictional character from the hit TV series How I Met Your Mother (HIMYM). Ted also served as the series’ narrator from the future, voiced by the actor Bob Saget. The narrator tells his children the long version of the story of how he met their mother. His character is famously known for being in love with Robin Scherbatsky. His friendship with Marshall Eriksen served as one of the core elements of the show. 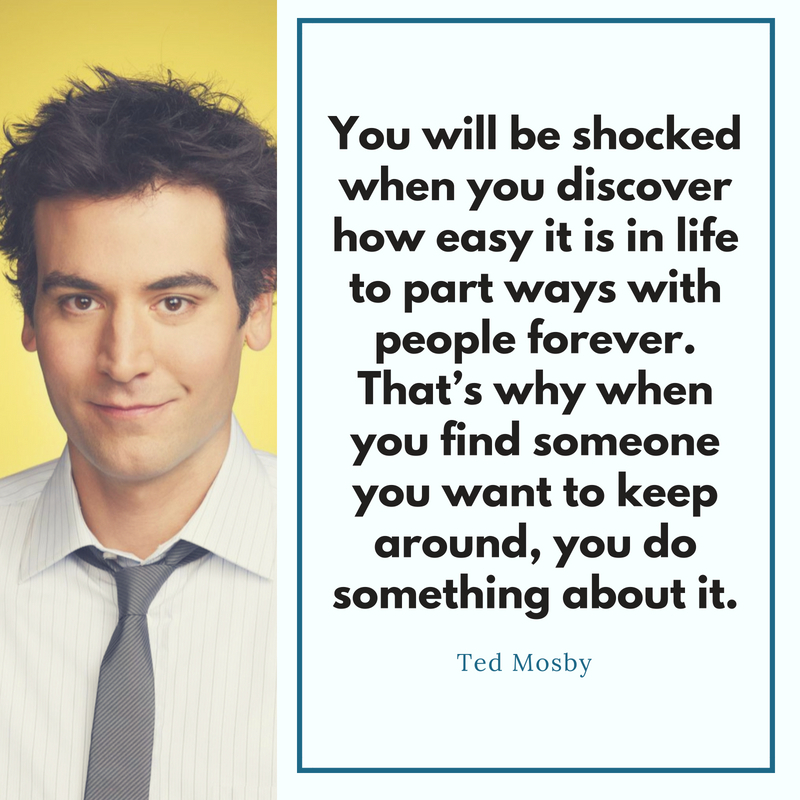 Ted Mosby was played by Josh Radnor. 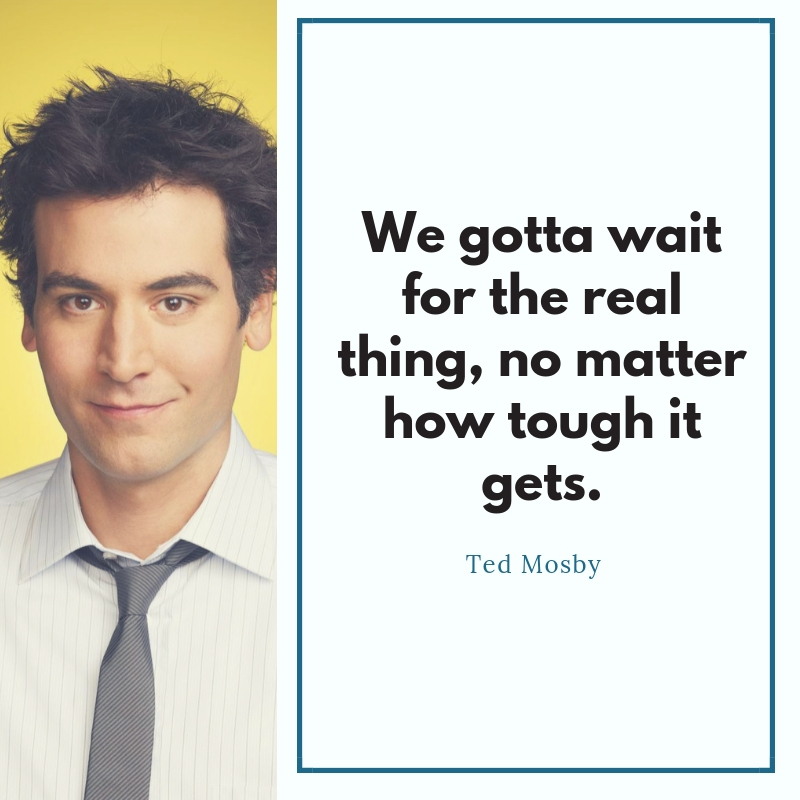 If you have seen How I Met Your Mother and never quite gotten over the show, here is your chance to relive the famous lines spoken by Ted Mosby during the whole course of the series. 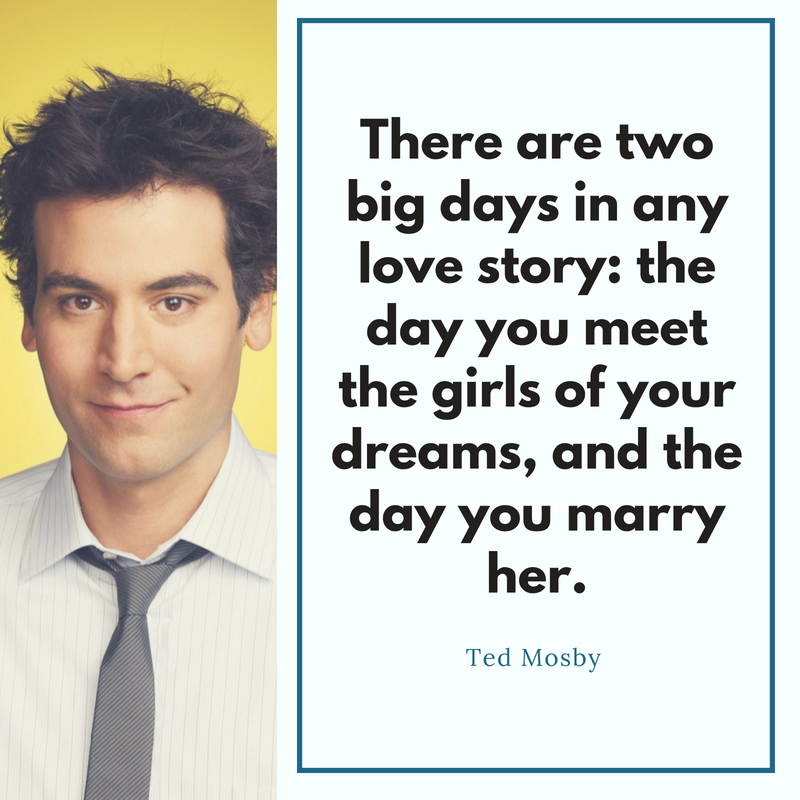 These 10 Ted Mosby quotes will certainly make you fall in love again. There are two big days in any love story: the day you meet the girl of your dreams, and the day you marry her. Sometimes love means taking a step back. If you care about somebody, you should want them to be happy even if you wind up being left out. If you’re not scared, then you’re not taking a chance. If you’re not taking a chance, then what the hell are you doing anyway? 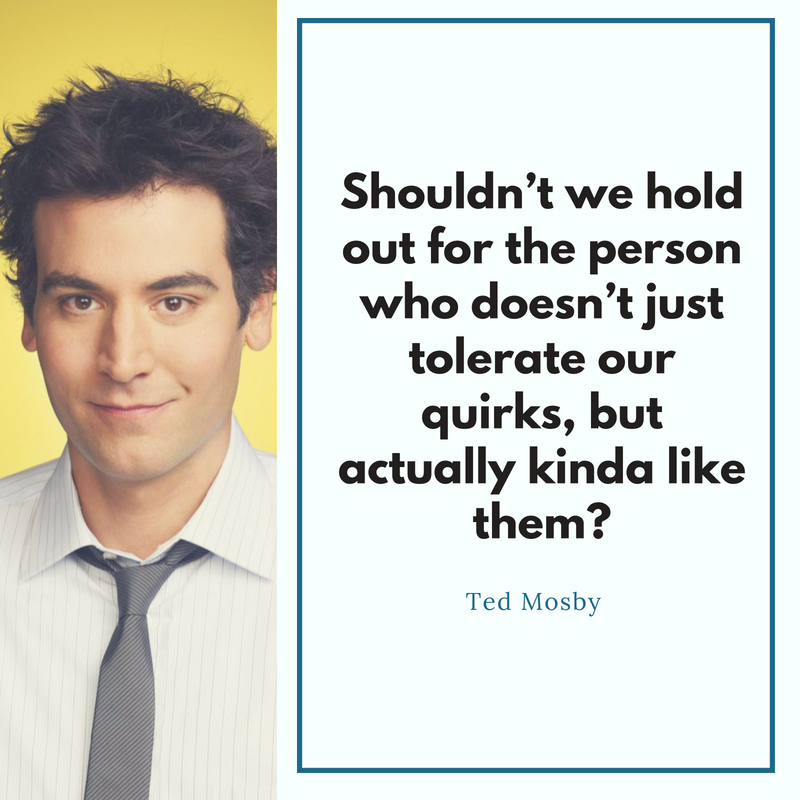 Shouldn’t we hold out for the person who doesn’t just tolerate our quirks, but actually kinda like them? We gotta wait for the real thing, no matter how tough it gets. You will be shocked when you discover how easy it is in life to part ways with people forever. That’s why when you find someone you want to keep around, you do something about it. 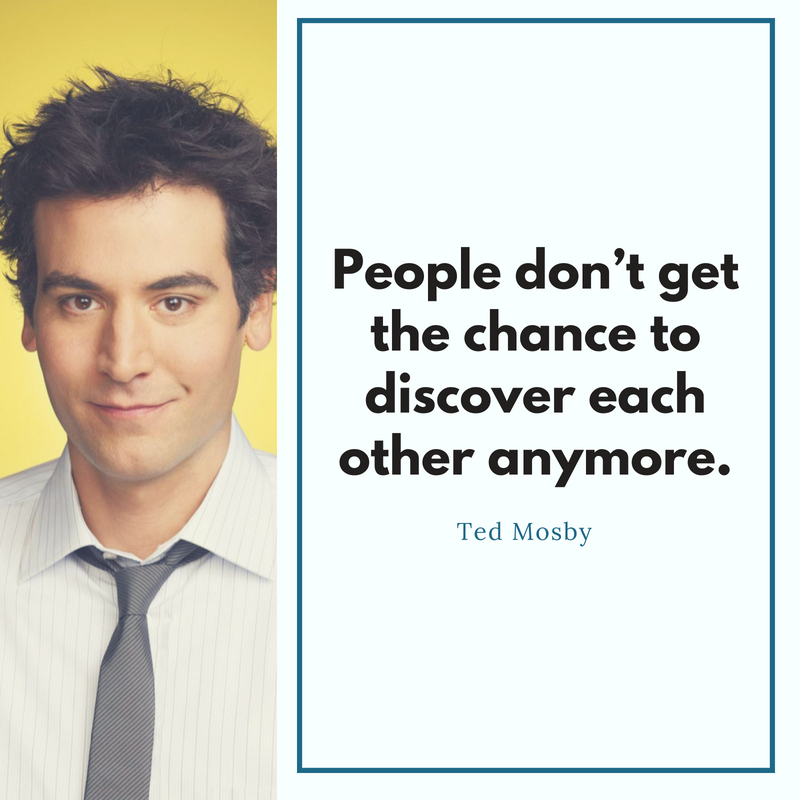 People don’t get the chance to discover each other anymore. 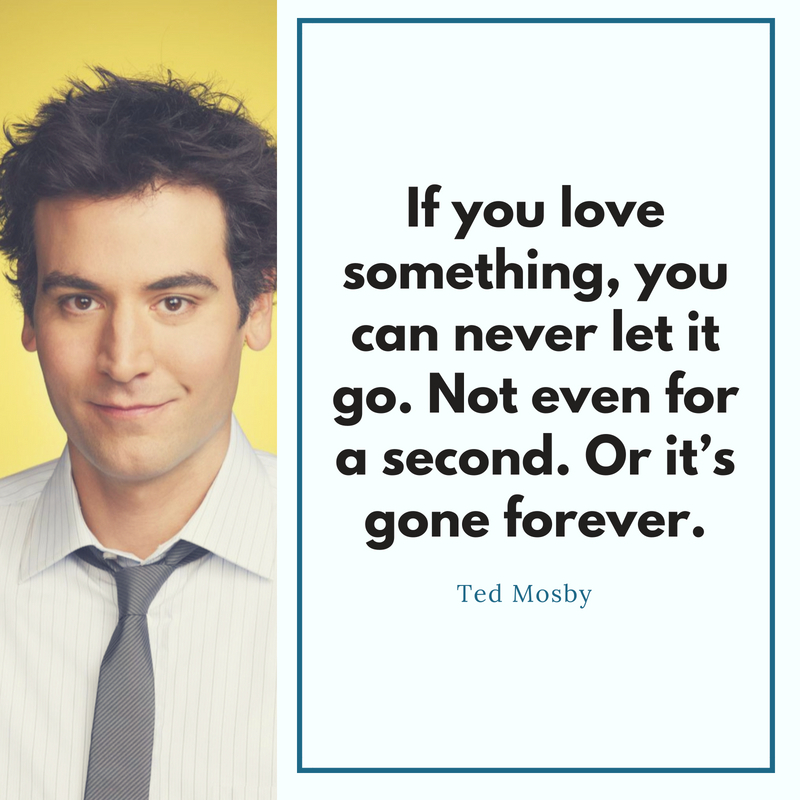 If you love something, you can never let it go. Not even for a second. Or it’s gone forever. That’s the funny thing about destiny; it happens whether you plan it or not. It turns out that I was just too close to the puzzle to see the picture that was forming. The great moments won’t necessarily be the things you do, they’ll also be the things that happen to you. Ted Mosby is one of the memorable characters of pop culture. His famous lines will always be remembered through the course of time. 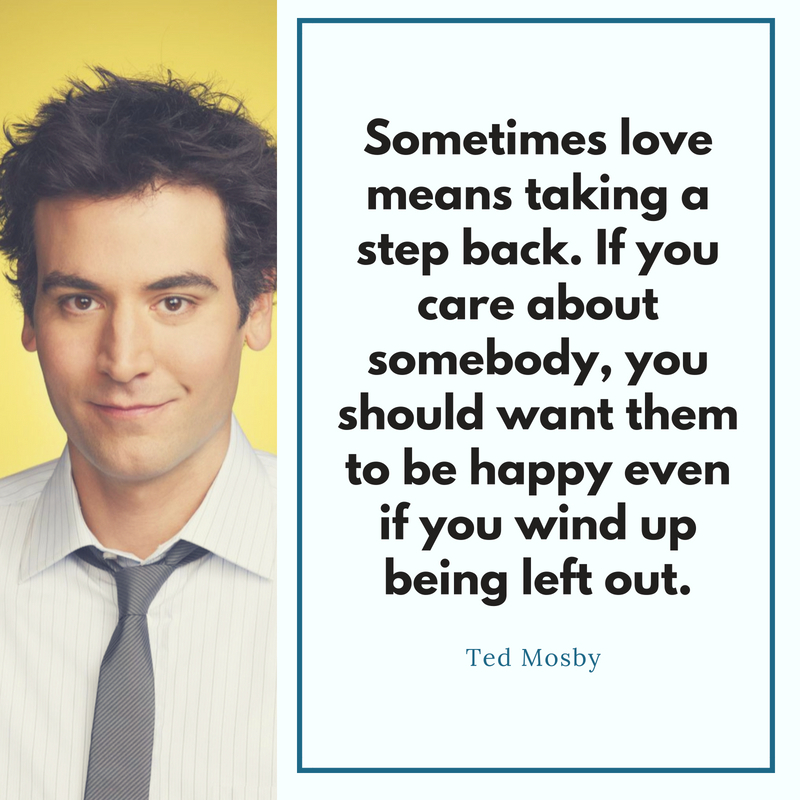 If you are a fan of How I Met Your Mother, you will find these 10 Ted Mosby quotes relatable and make you watch the show again.